Purnululu National Park, with its Bungle Bungles (dome-shaped sandstone structures), gorges and mini-canyons, is one of the most outstanding places in Australia. Discovered just recently, Purnululu will fascinate visitors with its amazing geology that has created unique shapes and colors. 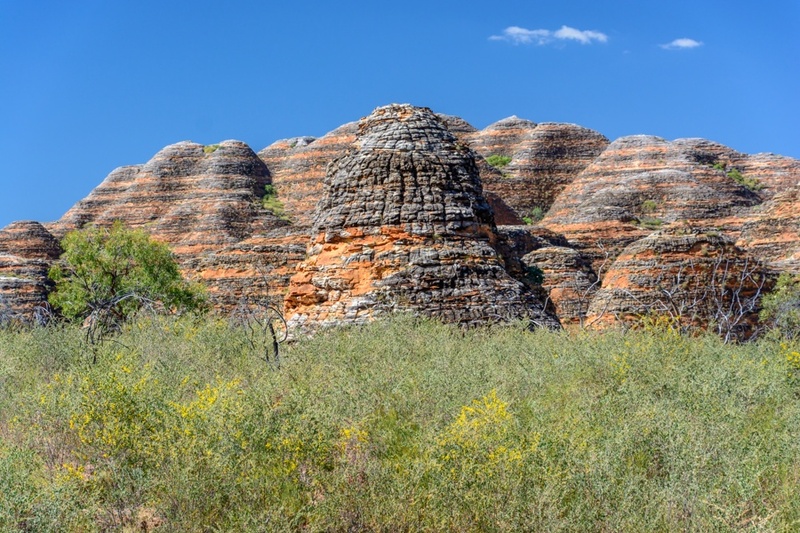 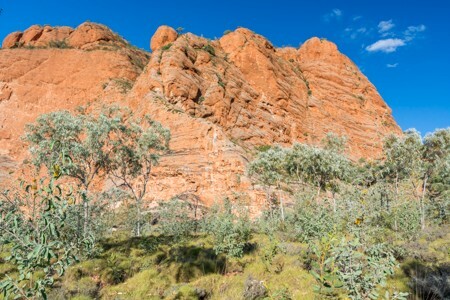 Purnululu is absolutely a not-to-be-missed place during any tour throughout the Kimberly region in Western Australia. 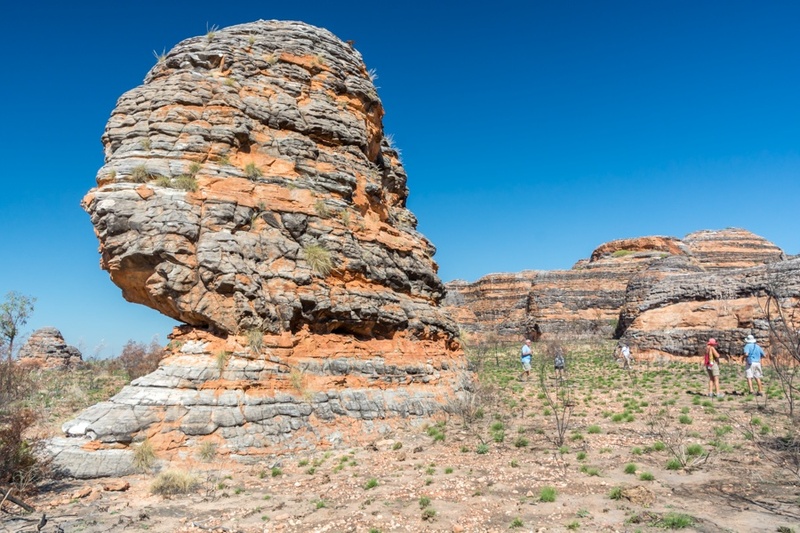 How to get to Purnululu? 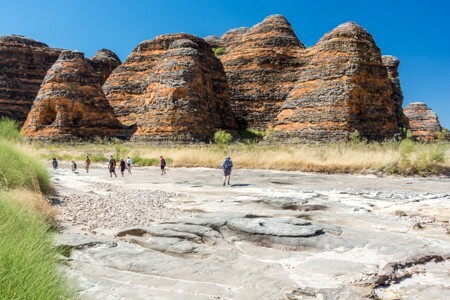 Purnululu National Park, also known as Bungle Bungles, is located in Western Australia (Kimberly region), north of the Capricorn Tropic, not far from the border with Northern Territories. 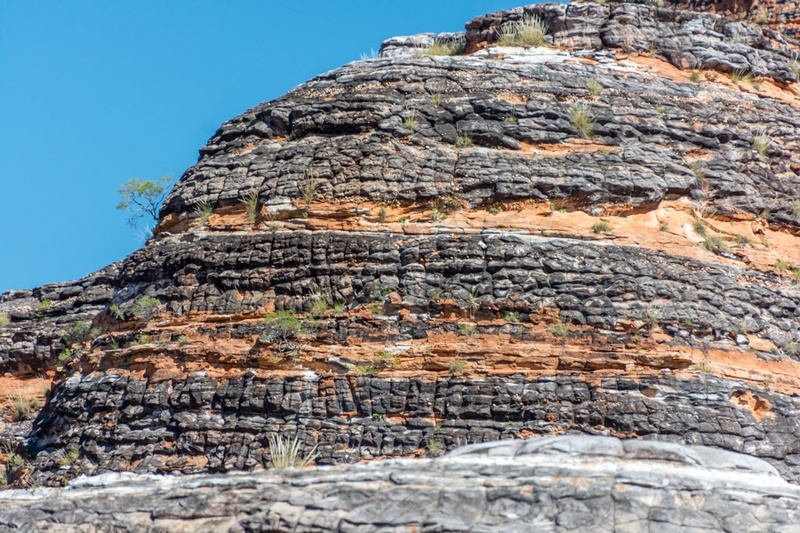 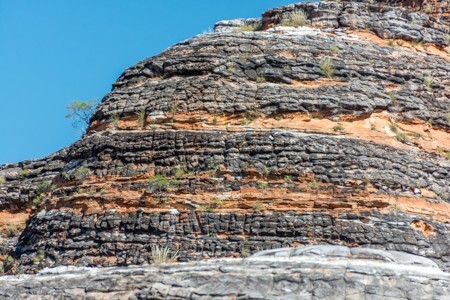 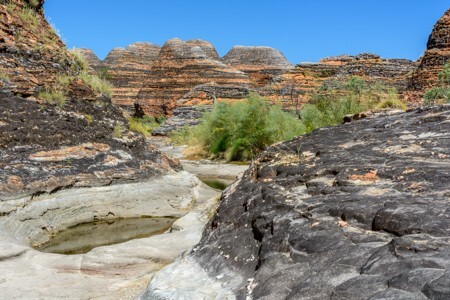 Getting to Purnululu is part of the adventure, either because the distances from the nearest airports (Kununurra, Halls Creek, Broome and Darwin) are long, either because the last miles of the road is just an unsealed track requiring an all-terrain vehicle. 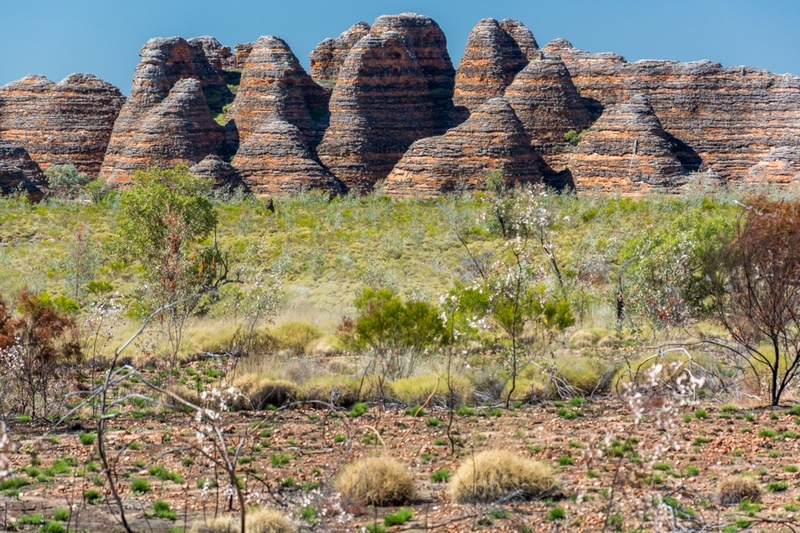 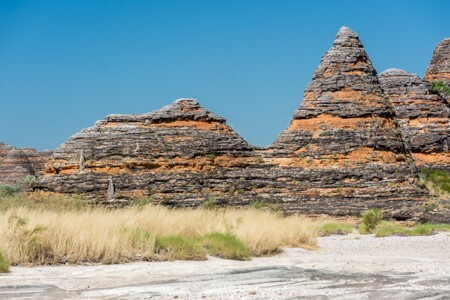 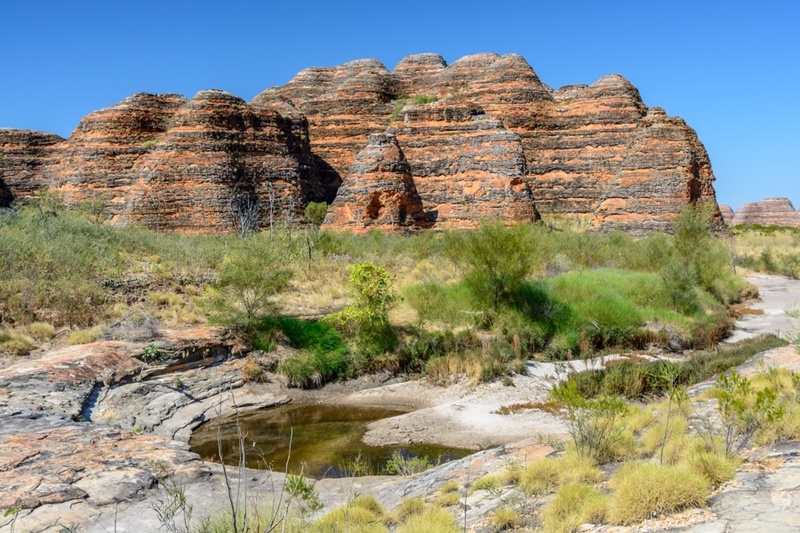 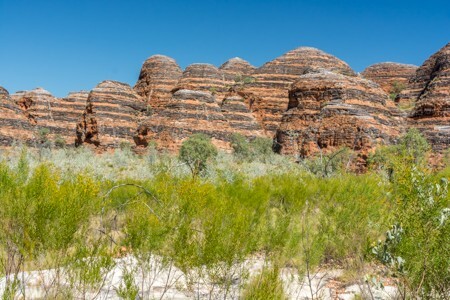 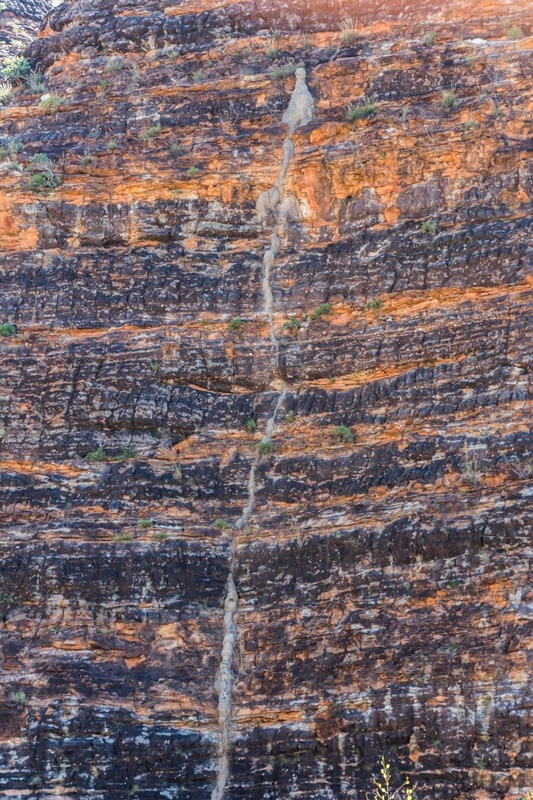 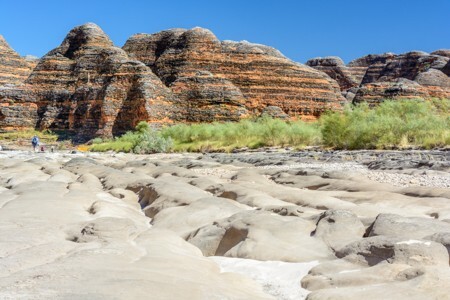 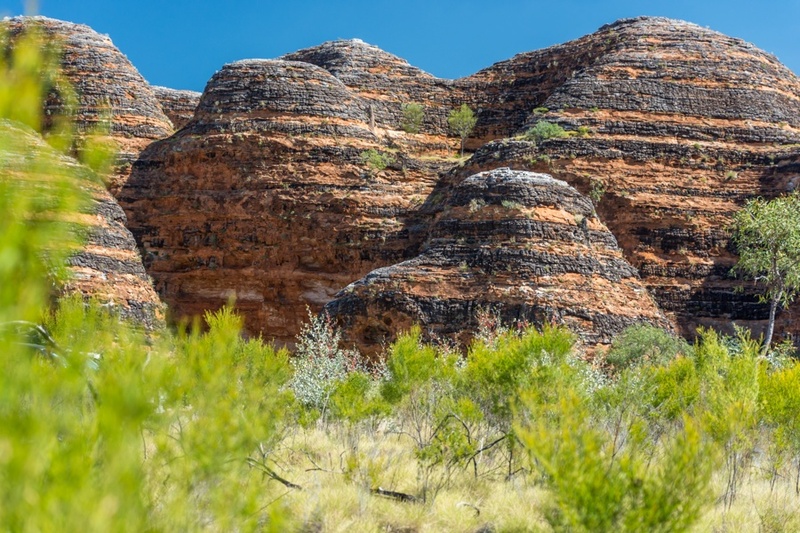 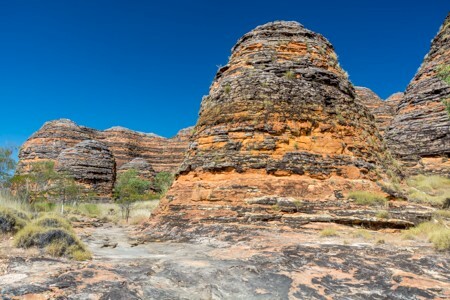 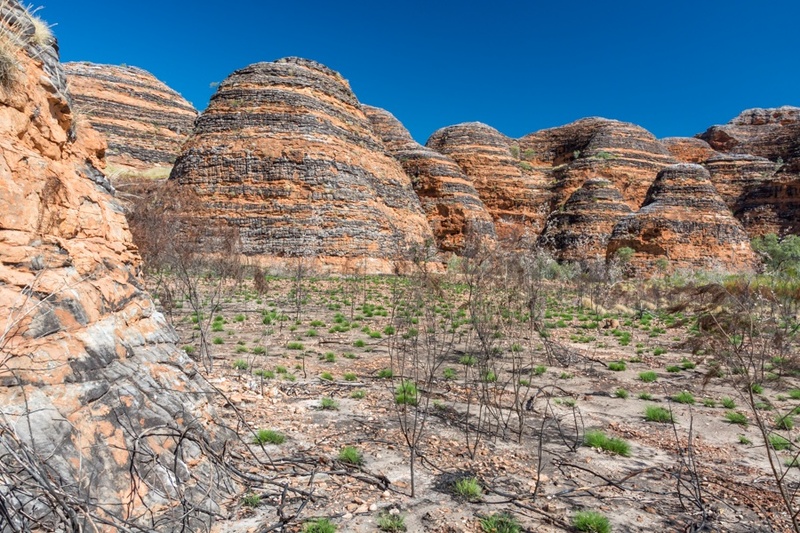 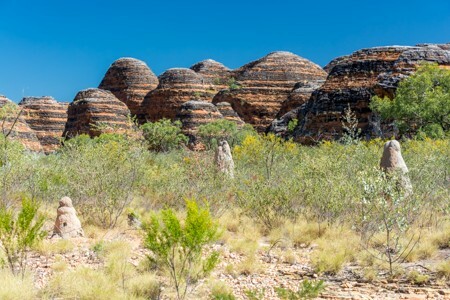 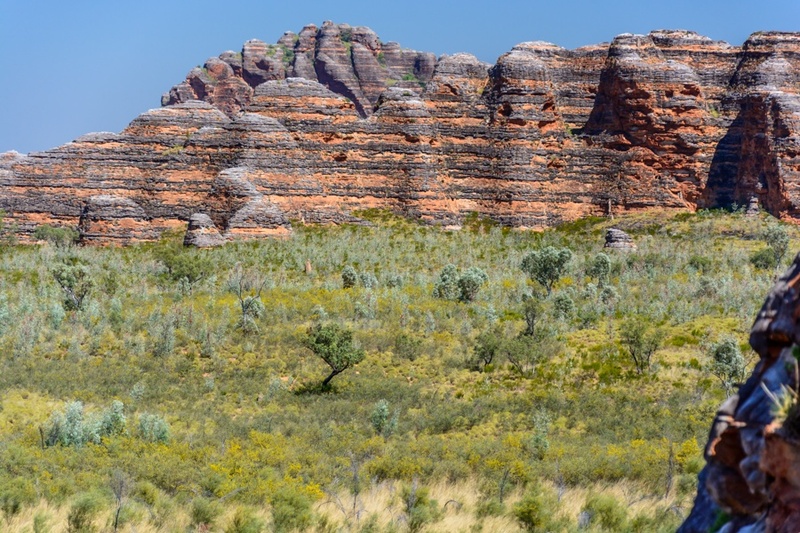 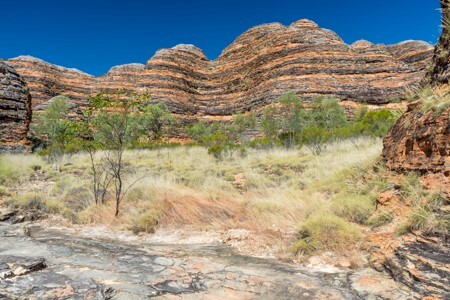 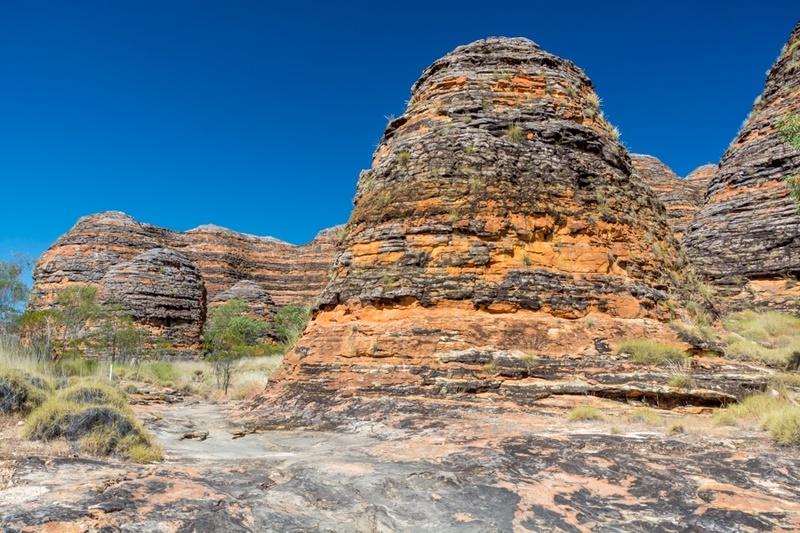 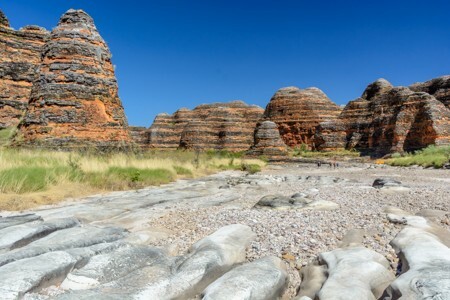 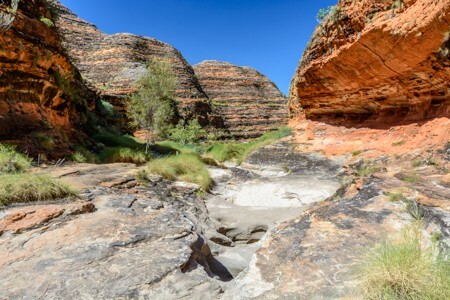 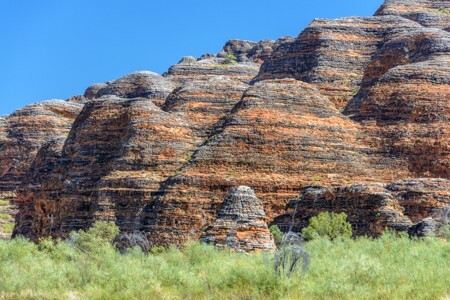 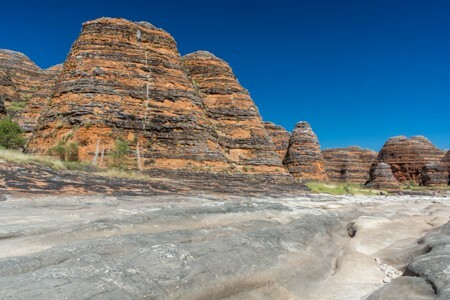 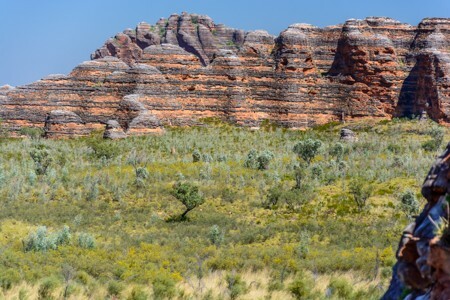 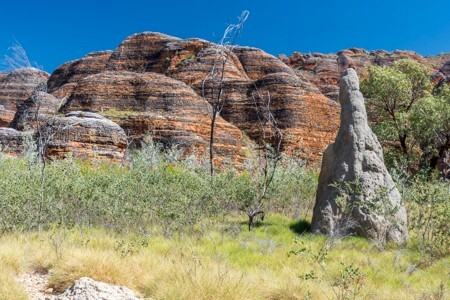 The Purnululu National Park is open only during the dry season, roughly from April to November, and the rest of the year the Bungle Bungles can only be visited by sightseeing flights subject to weather. Purnululu is the name given by aborigines to these odd sandstone formations (in their language, Purnululu means, in fact, sandstone) that make up the mountain chain known as Bungle Bungle. The area has been discovered and explored only in 1980 and has been included among the UNESCO heritage sites in 2003, for the stunning landscape dominated by these picturesque domes stretching over an area of hundreds of square kilometers. 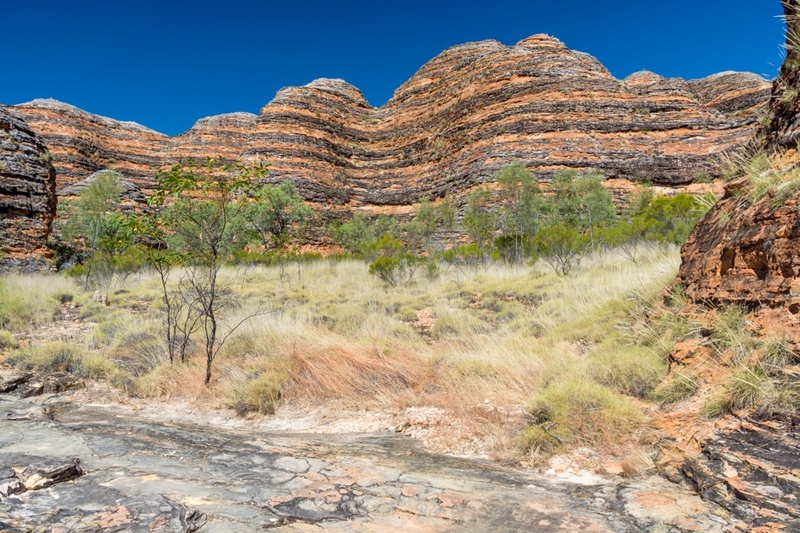 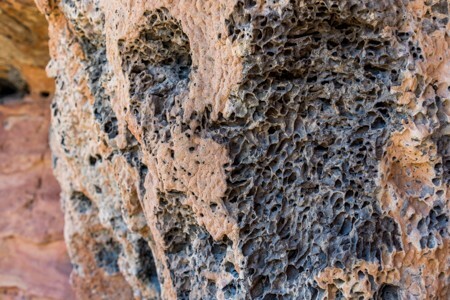 The origin and geology of the Bungle Bungles is very intriguing. 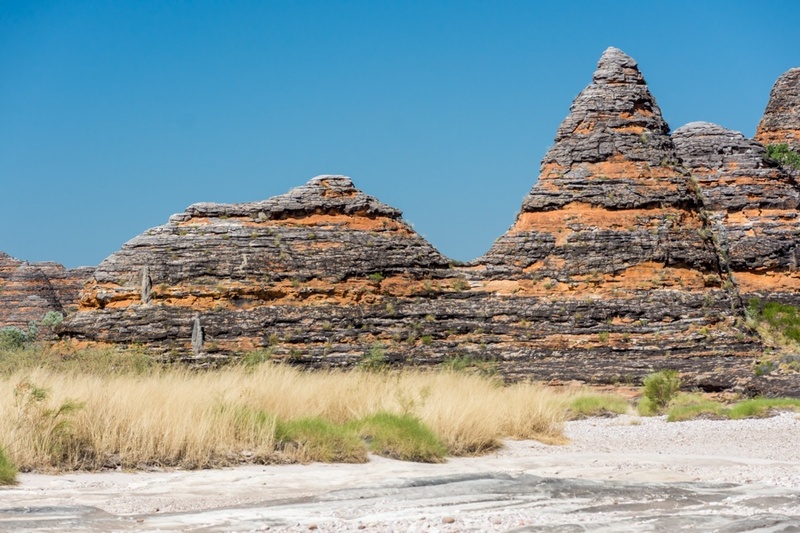 Back to the Devonian era, about 400 million years ago, these domes were buried under a vast plain and only the subsequent erosion, started after some catastrophic event, brought them to the light. 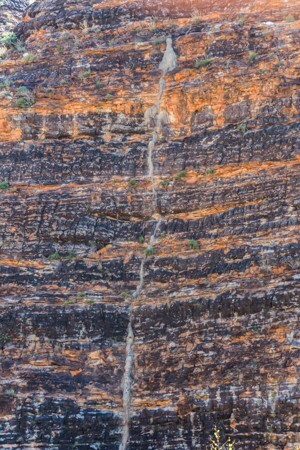 The stripes of different colors are due to the alternation of cyanobacteria colonies (monocellular photosynthetic organisms) for the dark bands, while the orange stripes are due to a crust of iron oxide that can not be colonized by cyanobacteria, as it contains less clay (and is therefore drier and more susceptible to erosion). 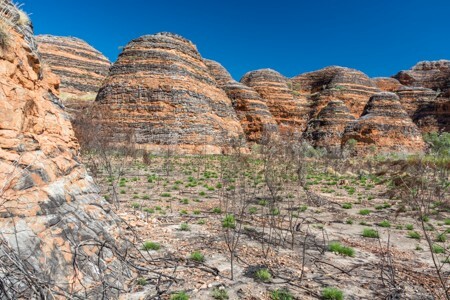 In addition to the cyanobacteria and some brave grass, the surface of the Bungle Bungles is also inhabited by termites, which construct termite-mounds in somewhat improbable place: in this photo we can observe a termite-mound built dozens of meters high, with the road to get there highlighted by a long strip of clay. 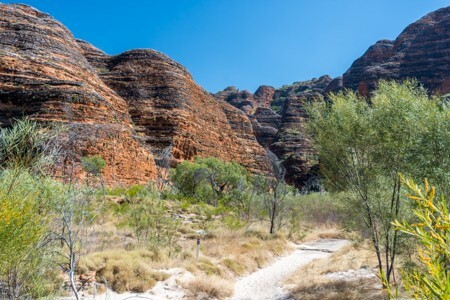 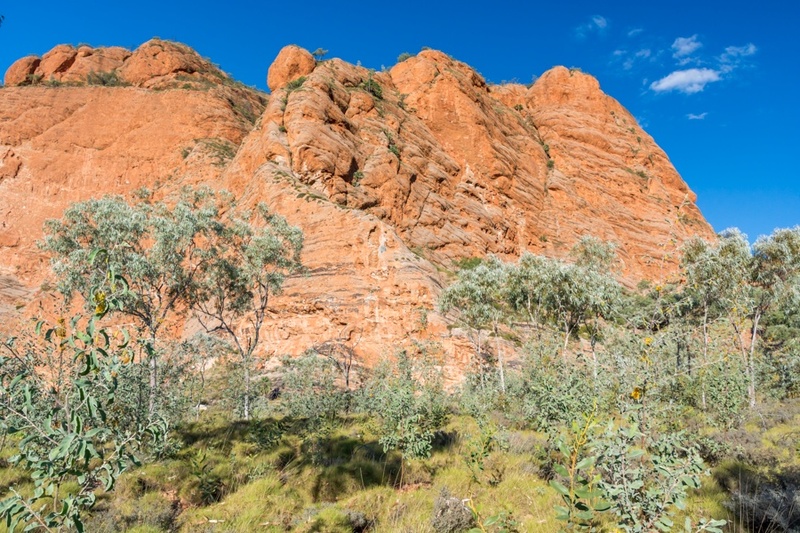 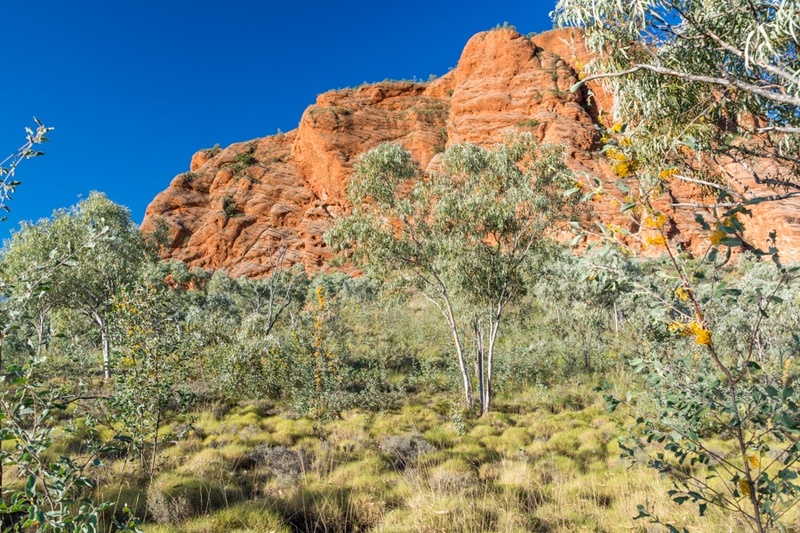 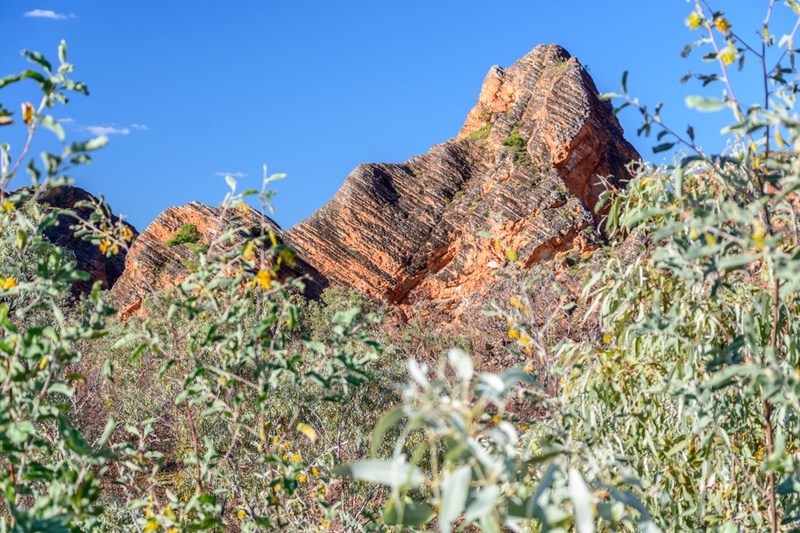 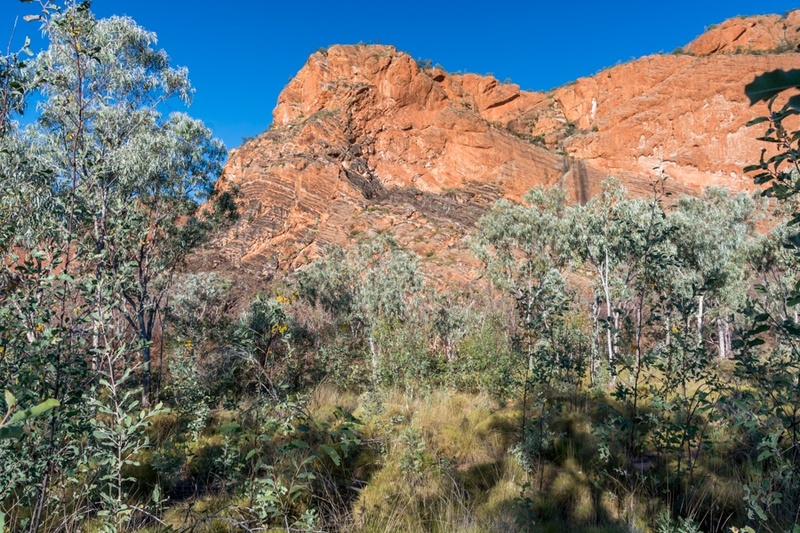 In Purnululu National Park there miles of trails, mostly easy and accessible to everyone, to observe the Bungle Bungles closely and to reach panoramic points. 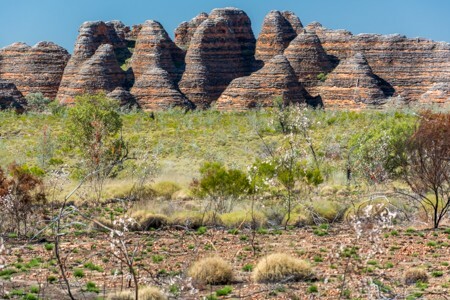 The minimum stay to visit Purnululu (at least the most significant places, without having to run around) is a couple of days. 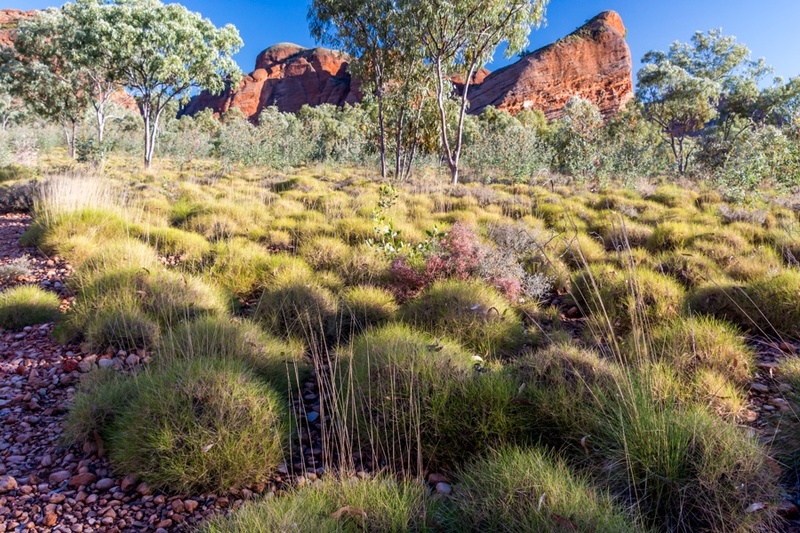 The typical landscape in Purnululu, between giant termite-mounds and dome formations of the Bungle Bungles. 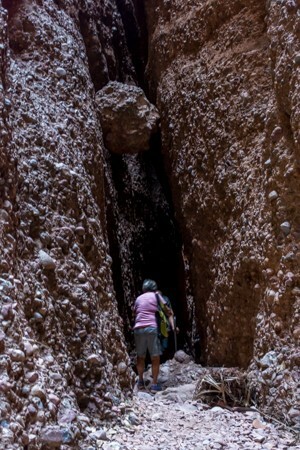 ...while old termite-mounds, now dead and no longer undergoing maintenance (termites always repair the outer surface of the structure when it gets damaged) let to have a glimpse in the dense network of corridors and rooms inside the structures. More photos of Purnululu and Bungle Bungles with their typically domed shape hills. 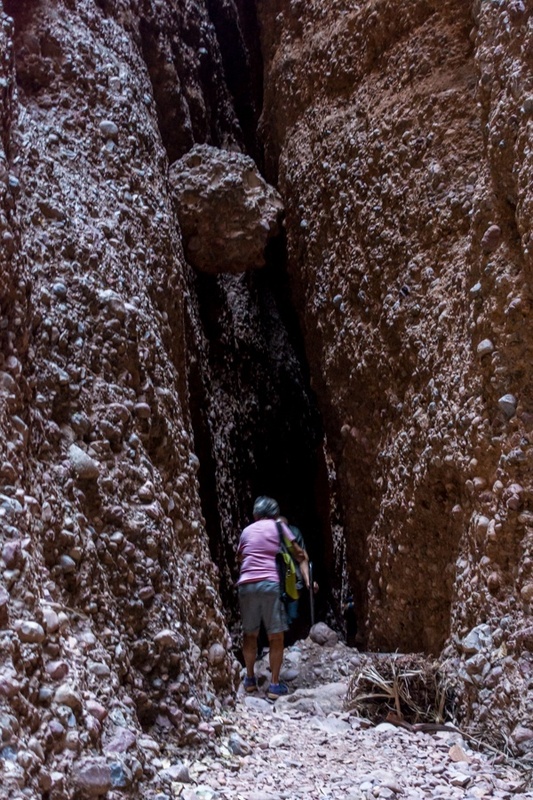 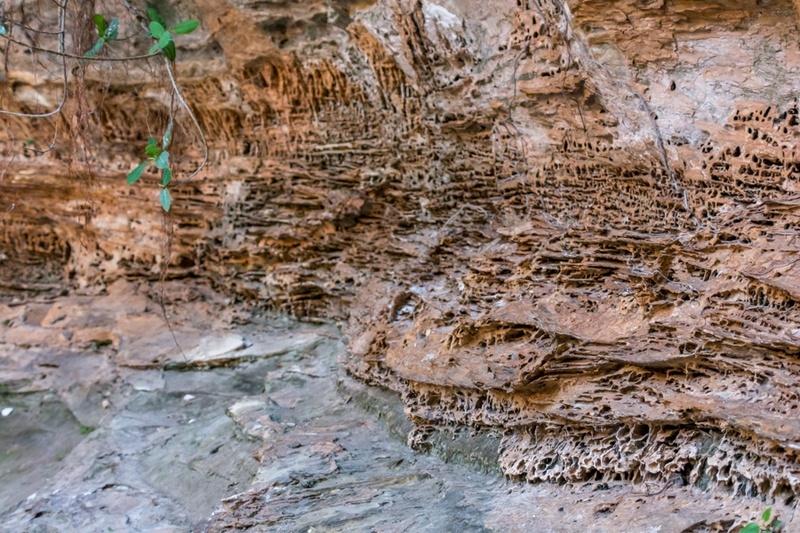 In Purnululu there are numerous gorges that can be accessed through easy trails. 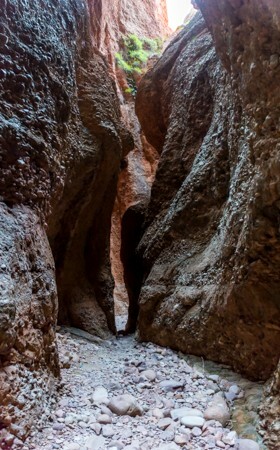 In this panoramic photo, we can see the Cathedral Chasm. 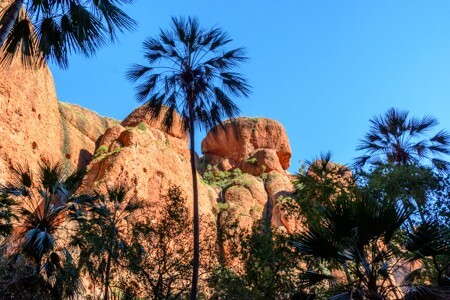 In Purnululu there are not only the classic dome formations, but also beautiful orange-colored mountains. 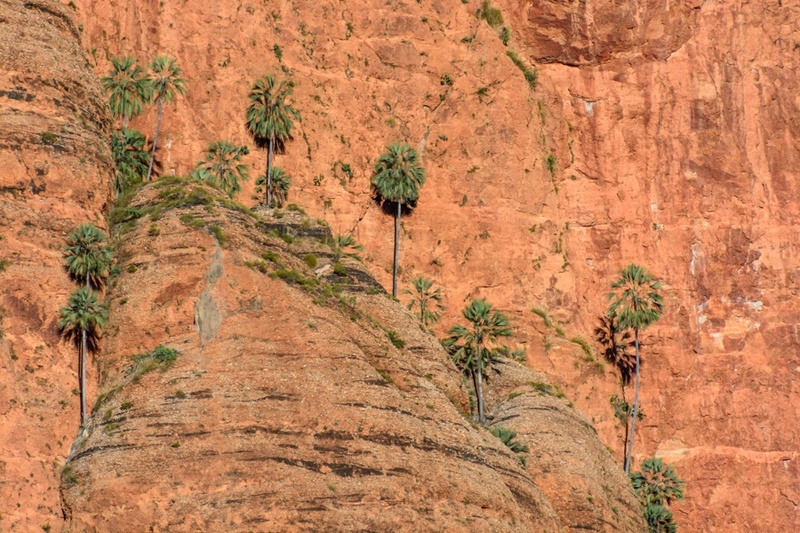 Incredibly, palm trees manage to grow on the vertical rocky wall of the mountain. 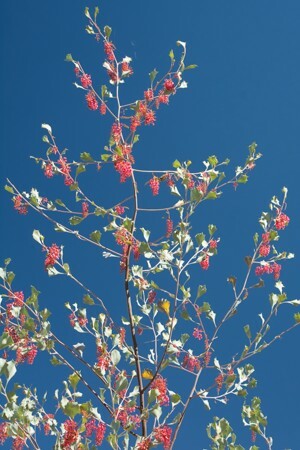 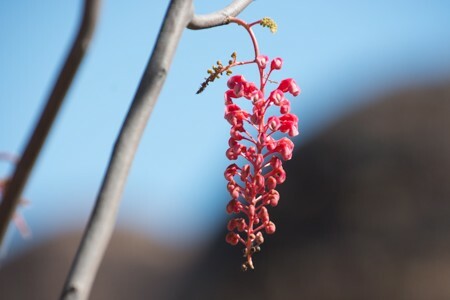 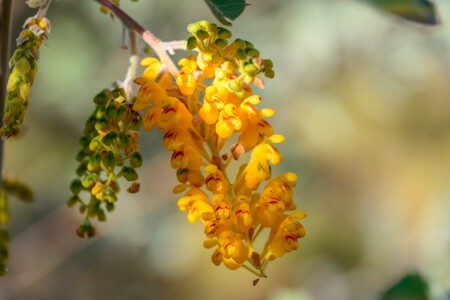 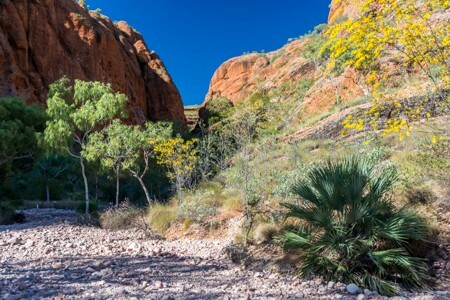 Flowers and vegetation in Purnululu at the beginning of the dry season, the best time to visit the area. 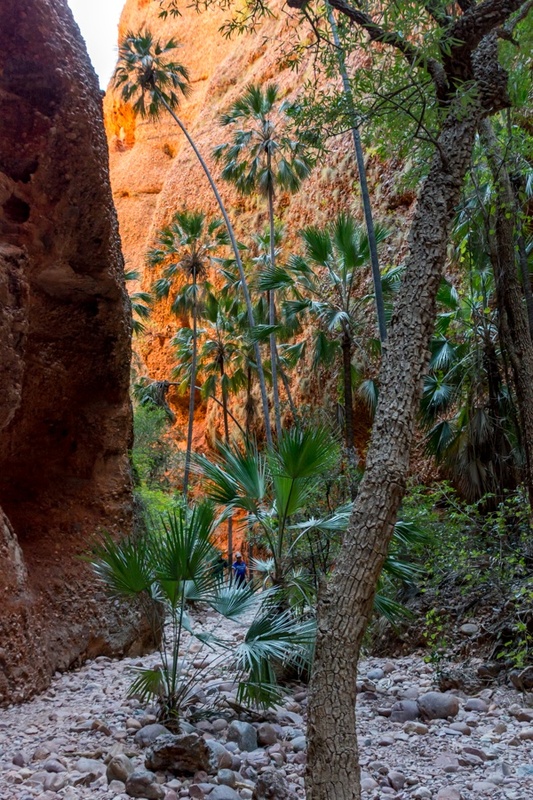 An opening in the mountains, ending into a canyon: this is Echidna Chasm, a narrow corridor among the rocks that house a mini palm forest. 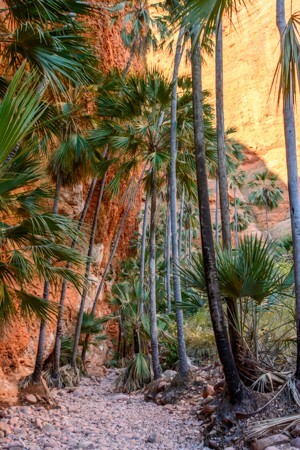 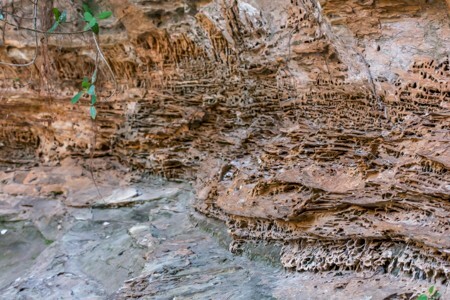 The palms in Echidna chasm. 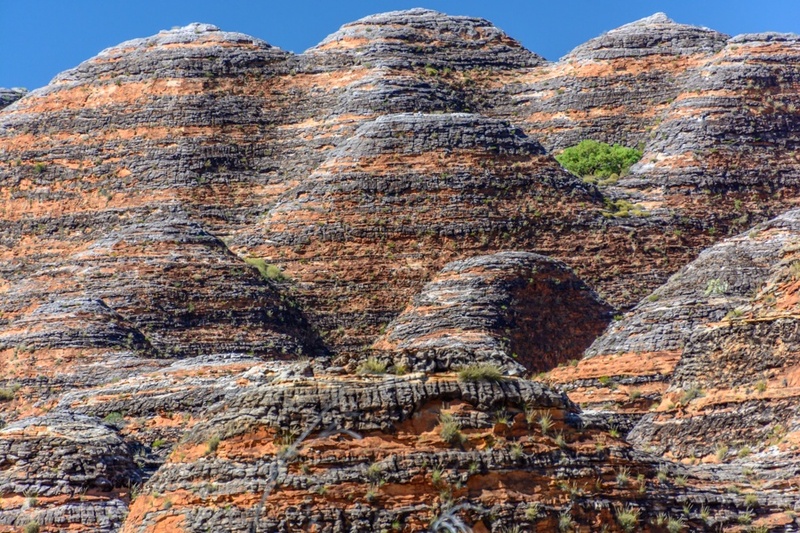 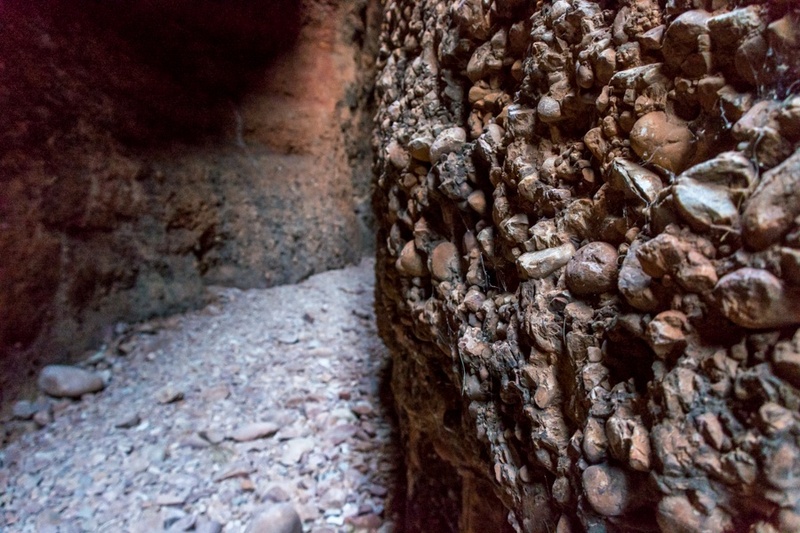 The Purnululu mountains consist of what is geologically defined as "conglomerate", a mass of small stones held together by a kind of natural concrete. 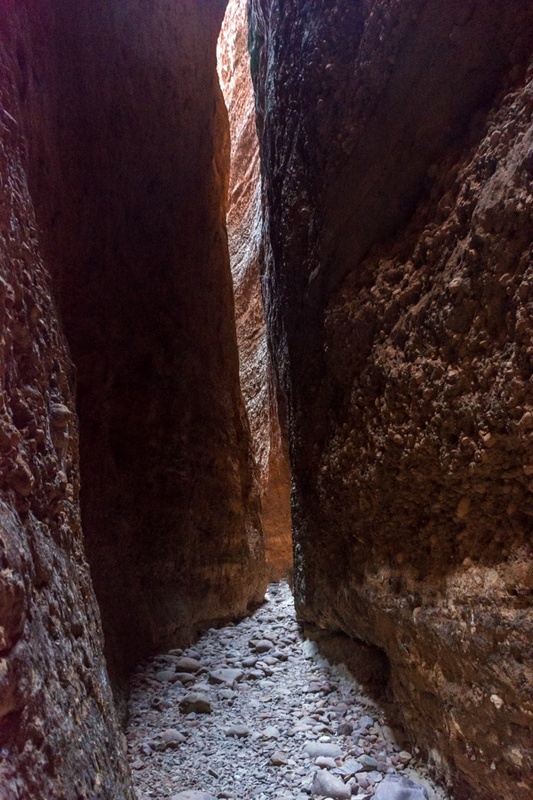 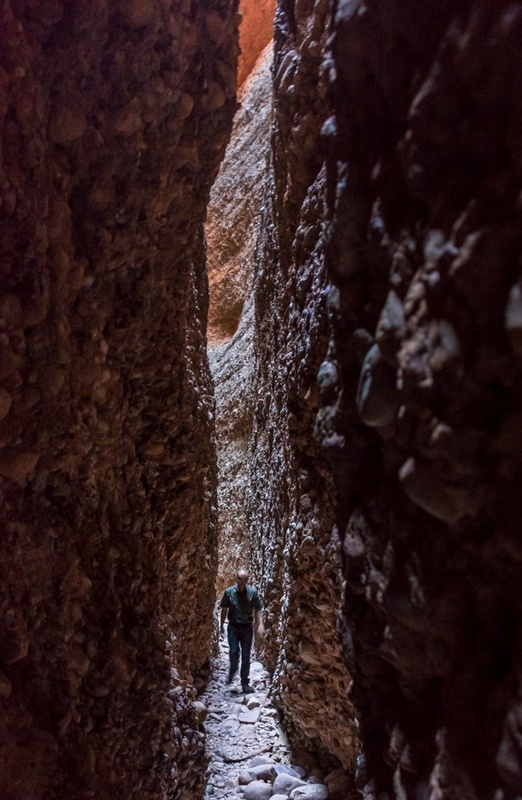 ...until visitors may touch both the walls of the canyon at the same time. 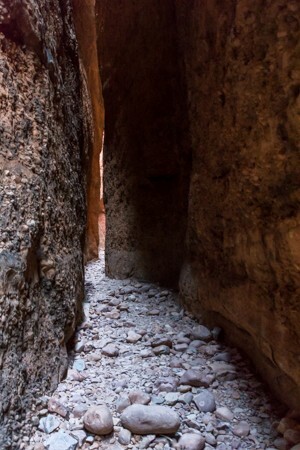 A natural room in the canyon and the narrow corridor used to get there. 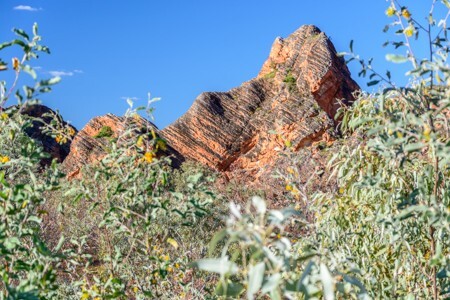 Where to stay in Purnululu? 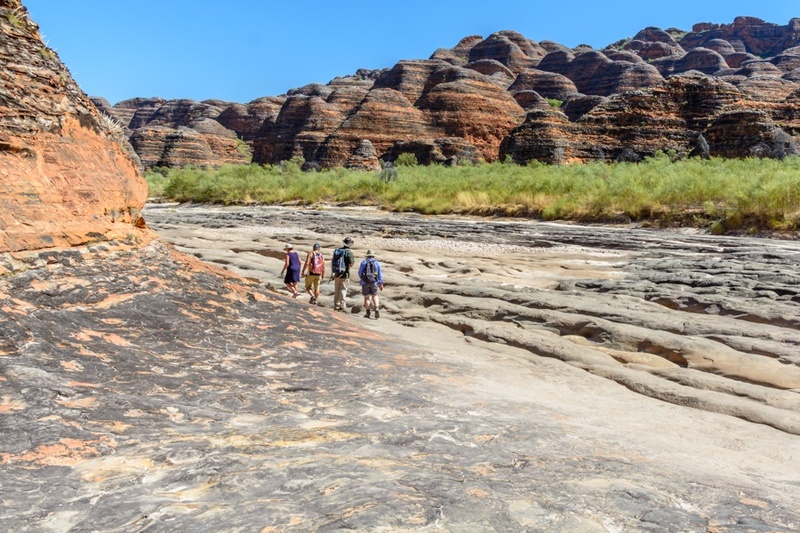 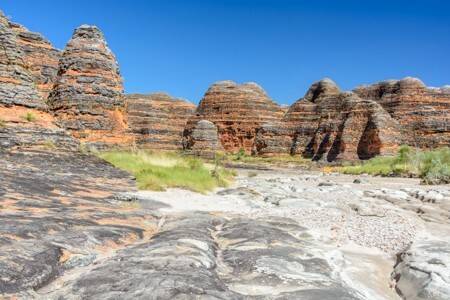 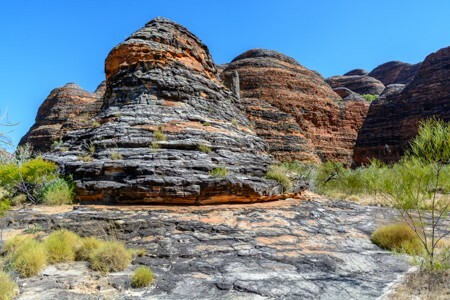 The Bungle Bungles have been discovered only recently and are largely unknown to mass tourism, as you will rarely hear about them when talking about Australia. 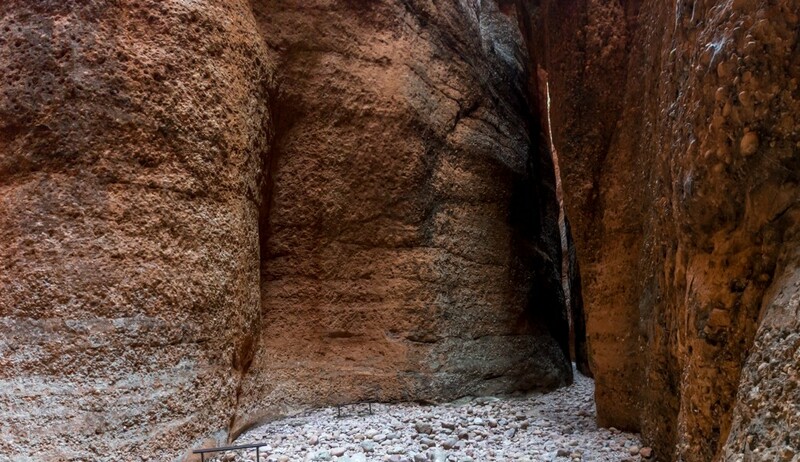 In Purnululu there are no hotels and the only possibility is either to use fixed tents or own tents. The place is remote and there are no amenities, apart from the possibility of buying some snacks, all the food must be transported from Halls Creek or Kununurra before arriving. 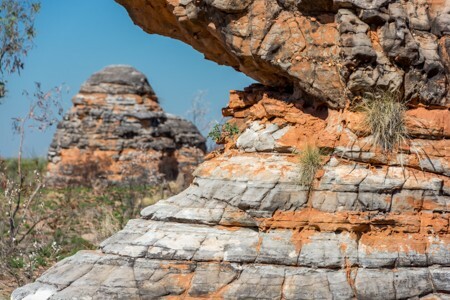 At the date of this travelogue, there is no mobile coverage in the park, so it is best to travel with a satellite phone to handle any emergency (most guides from organized tours, will have it). 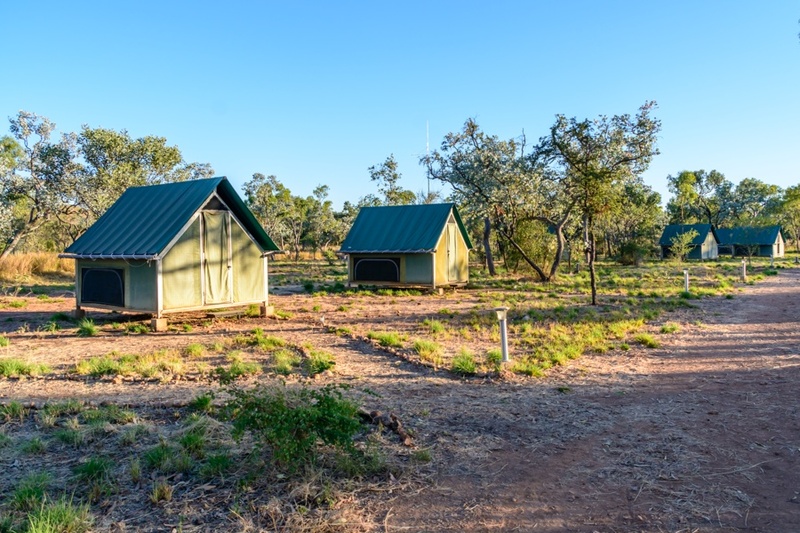 Nights during late May, June, July and early August can be very cold with possible frost, while days are warm or even hot and very dry: you should travel equipped accordingly. In September and October the temperatures rise, but after so many dry months, the environment may be dusty and most vegetation brown. The best time to visit Bungle Bungles is definitely May.